As Street Feast falls on Ramadan this year, we are reminded of the special power food has to bridge gaps, break down barriers and bring people together. Food, and the preparation of it, is something that enables us to come together as a global community and speak a common language. It is also one of the best ways to learn about other cultures and has the ability to foster inter-religious understanding. With this in mind, Ramadan is a great opportunity for non-Muslims to gain a better understanding of Islam and Arab cultures. Ramadan is a time for piety and prayer as well as strengthening of faith, but it’s also a time for sharing food. In the month of fasting, food plays an even more significant role — it is appreciated more, seen as a blessing and a celebration, and there is considerable joy in breaking bread together. Those observing Ramadan wake before dawn to eat a light meal called suhoor, and break their fast at sunset with a meal called iftar. 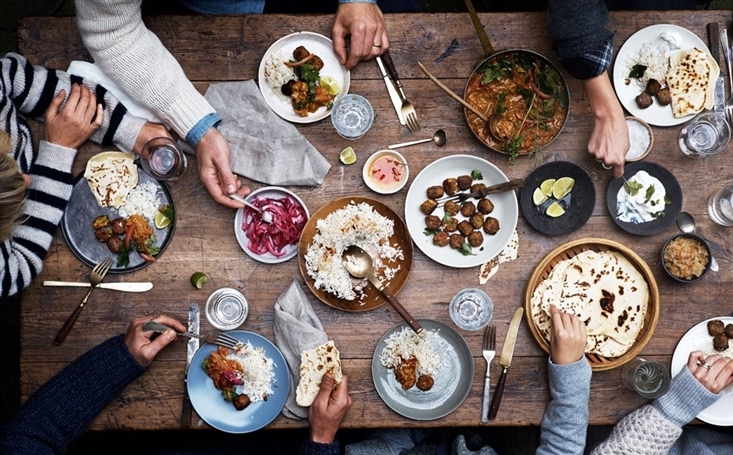 Different cultures around the world observe Ramadan in different ways but, generally, iftar is a big social event involving friends, family and the community. We spoke with Asanka, a Street Feast friend visiting Ireland from Australia. He’s looking forward to celebrating Ramadan this year and hopes the wider community will join in. So this Ramadan, regardless of your religion or cultural background, why not host an iftar for your friends, family and/or community? Or, if there are people in your community already observing it, why not make your Street Feast a special iftar celebration? That way everyone can join in! Keep an eye out later this week, we’ll post a guide on how you can make your Street Feast a Ramadan-friendly affair and we will share a traditional family recipe that’s perfect for the Iftar table. Watch this space.